Few things seem less intuitive than the idea that shelters can house fewer cats at any one time while saving more cats over the course of a year - and yet, it's true, as Million Cat Challenge shelters are demonstrating every day. 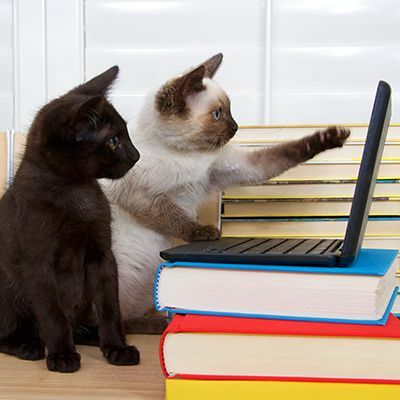 This intriguing initiative, known as Capacity for Care, or C4C, gets a real-life overview in this webinar from Karen Green, Executive Director of the Cat Adoption Team (CAT). Karen is the Executive Director of the Cat Adoption Team (CAT), the largest feline-only shelter in the Pacific Northwest. Karen started her career in animal welfare at Best Friends Animal Society. During 10 years at Best Friends, Karen's roles included managing the Animal Help office and serving as Assistant Director of the national No More Homeless Pets program. In 2006, Karen relocated to Portland, OR, where she worked for seven years as the Senior Director of the Alliance for Contraception in Cats & Dogs. Having worked with hundreds of animal welfare advocates and organizations, Karen witnessed how often unhealthy organizational cultures, ineffective communication and destructive conflict interfered with efforts to save animals. Determined to bring skills and knowledge to this challenge, Karen completed a degree in organizational communication and a Certificate in Conflict Resolution and Mediation in 2009. In early 2012, Karen became the Executive Director of Cat Adoption Team. CAT finds homes for 2,500 cats and kittens each year and provides 1,500 spay/neuter surgeries for cats with low-income owners. CAT is a founding partner of the Animal Shelter Alliance of Portland (ASAP), which has doubled the live release rate of cats in the Portland metro area to over 91 percent.